Now Health was launched in 2010 by a management team of International Health Insurance professionals with many years of experience in the industry. A dedicated medical insurance company, Now Health aims to provide revolutionary service and operation capabilities, benefit-rich plans and exceptional customer service. Whilst headquartered in Hong Kong, Now Health also has regional service centres in Shanghai, the United Kingdom, and Dubai so that customers can easily seek help and advice whenever necessary. With a plethora of online tools, including a chat platform to contact online representatives, Now Health is continuously looking for ways to make the entire insurance process as simple and as accessible as possible for its customers. Already standing out amongst many of its competitors, Now Health’s technological advancements enable the initial application, policy issuance and renewal processes to be stress free and simple for anyone trying to protect themselves or their loved ones. 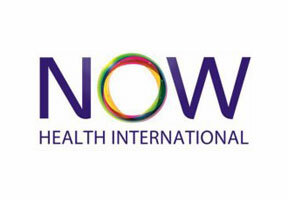 Now Health provides access to worldwide healthcare and unique, comprehensive products underwritten by AXA, an established name in the industry. Clear, accessible and straightforward, Now Health respects its customers and their time and can provide you with the protection you are looking for.